ashtray sky, the train stops. on tracks lit up with winter aconite. Sarah Russell is our guest bartender here at the dVerse pub today. She says that, in keeping with William Carlos Williams’ line from ‘A Sort of a Song’, where he reminds the poet about using metaphor and says “No ideas but in things,” our challenge is to take a concept or feeling — hope, joy, despair, longing, patriotism, anger, grief, etc. — and write a poem that captures the concept without telling the reader what the concept is. It is up to the readers of the poem to name the concept or feeling in their comments. Sarah has shared some inspirational quotations from Saint Augustine, Chekov and Wallace Steven and examples from a variety of poets. Posted in Poems. Tagged Concepts, dverse Poets Pub, Emotions, Imaginary Garden with Real Toads, Metaphors, Tuesday Platform, Tuesday Poetics, Winter aconite. Not final, but a dark tunnel with anticipation and hope at the end. Anticipation. ..but without fear. Something new at the end of this tunnel. .methinks. The ashtray sky….perfect image here. But the aconite by the tracks…makes me feel inspite of the images of doom and/or depression, there is hope. Aconite is blooming in a solid carpet of gold in the meadows here. Sunlight under the ashtray sky. that image will stay with me. What happened to it? Was it a slip of the finger or a WordPress gremlin? Very dark and deathly imagery in this Kim. Nice description of night as a tunnel that we take a train ride through. An ending but sprinkled with new beginnings…transition. Deadly imagery here. Had to look up Aconite — poisonous though beautiful. Wonderful mixture here, Kim. Anticipation. Dread. Wonder at what is beyond. A great poem! 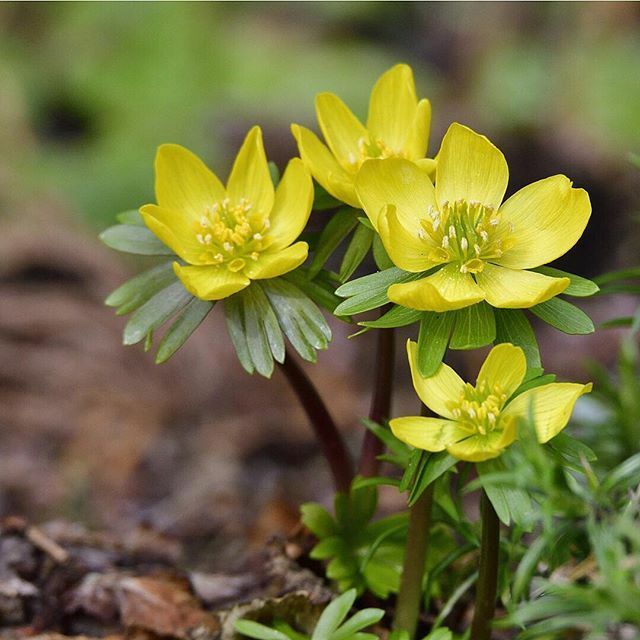 Don’t forget the yellow aconite, Walter! Admiring that ashtray sky and winter aconite. Made me feel anxious of what’s coming soon at the end of the journey. Hopefully end of winter (not more snow) ? Wonderful imagery, Kim! Do we know the dark journey’s end? I felt pleasant anticipation of the journey. Interesting to see diverse opinions of others. overflowing ashtray sky, seething frost, bare limbs, towards the tunnel of night… makes me think the yellow flowers will be covered with soot and their color erased. I feel dismal, forbearing, despair. Sounds a bit melancholy on a dreary gray winter day going home on the train. Great imagery!! Such tunnels make one grateful to get to the other side. I like it, especially the ashtray sky, I see it as anticipation, you know that you will emerge from the tunnel at the other side into something new and unseen, a new spring, a new day. An invitation to voyage here in the particulars of departure. Love the final couplet. Buttons it up perfectly. I feel a sense of dread, especially with the opening “overflowing ashtray sky”. I see its toxins seeping into the city, leaving nowhere to escape, no matter how fast the train goes forward. That is some delicious wordage, as always! ‘Frost seethes on scrubby sidings’ – complete perfection! This feels like the challenging part of the journey (could be about career, marriage or maybe life in general). We have this audacious goal to keep going albeit slow because light awaits at the end of the tunnel.